The Kellogg School of Management, 2211 Campus Drive, home of Northwestern’s department of economics. The department voted unanimously Tuesday to classify economics as a STEM major. 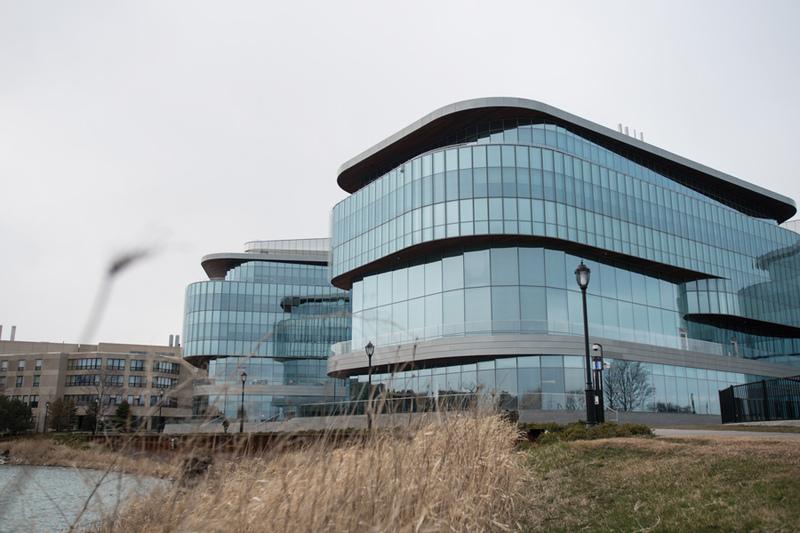 Northwestern’s economics department voted unanimously Tuesday to classify economics as a science, technology, engineering and mathematics major, economics Prof. Mark Witte said. The department decided to adjust the classification after a petition asked them to change it to help accommodate international students applying for work visas. Aashrey Tiku (Weinberg ’17), an international student, said he would be directly affected by the policy change. Tiku said students who do not graduate with a degree in a STEM major have less time to apply for a visa to stay in the United States after they graduate. He said he is in the process of applying for an H-1B visa to stay in the U.S. after his current visa expires in August, but would get an extension if economics was classified as a STEM major. Witte said the department made the decision because economics has added multiple new disciplines in recent years and has changed as a field of study. “Over the years, we’ve added econometrics, we’ve added more intermediate micro, and I think we’re a pretty quantitative, mathematical and data intensive program and so we’re a closer fit for the new code than the old one,” he said. Witte said a Weinberg faculty committee will review the economics department’s decision, and Provost Jonathan Holloway will then have to approve it. He said he wasn’t sure how long the process would take to be completed. Associated Student Government executive vice president Rosalie Gambrah said in early April that fighting to make economics a STEM-recognized major was one of her favorite initiatives during her term. “A lot of international students, if you are a STEM major you get an extra three years to apply for the lottery to become a citizen, so making econ a STEM-designated major allows for those international students who are in econ to be able to get that extra three years,” she said. Tiku said he only had a 30 percent chance of getting an H-1B visa because of the way the lottery system works. But he added that because the STEM designation gives students three additional years, he would have more chances to apply for the visa. Most people he knows who have applied for the visa multiple times have gotten it, he said.